The genius in a flat cap, the sporting icon in a pair of carpet slippers, the world renowned physiotherapist in a woolly cardigan. If they handed out prizes for image and appearance then Bob Paisley was never going to be deluged with awards. Come to think of it, in a shallow world that does exactly that, maybe we touch on a reason why Bob was never knighted or elevated to the national treasure status he so richly deserved? He never dazzled or sparkled like a Venables, never dressed like an Atkinson, didn't pour forth his politics a la Clough, nor did he covet column inches on the front pages of the tabloids in preference to the back. The charisma of a Shankly or a Busby was not Bob's to command. He could no more make deep and impassioned speeches to rally his troops than he could speak Swahili yet still he stands apart from his peers as the greatest of them all. How can this be? How did Bob Paisley achieve so much without the obvious outward signs of greatness? Well of course, there have been many great people who were shy and retiring, who never courted publicity or fame, who never 'looked the part'. But in the world of sport, and in football in particular, it is a rare person indeed who achieves immortality without some obvious penchant for bluster or self promotion. The footballing talents that Paisley had, and had in abundance, can only go part of the way to explaining his position of pre-eminence in English football. For the gaps in the story can only be found in his childhood and his background. How did Bob Paisley the boy turn into Bob Paisley the man? Like Shankly, the man who so heavily influenced the second half of Bob Paisley's footballing career, Paisley was born into an obscure village community deep in his country's industrial heartland. Hetton-le-Hole may not be the most famous part of England, but the creative energies and honest workmanship that characterised Hetton, and a thousand other places like it, provided the lifeblood of Britain's industrial revolution. And like Ayrshire's Glenbuck, County Durham's Hetton-le-Hole was a mining community. Significantly, on the day Bob was born, the 23rd January 1919, 150,000 miners nationwide went on strike for a shorter working week. For men with no spare cash of any kind, going on strike was a desperate last resort not to be taken lightly and revealed just how tough working conditions must have been. Bob was the second eldest of four brothers, Willie and Hugh being the oldest, and Alan the youngest. Bob's father Sam worked in the local mine, and his mother Emily was the homemaker who kept the family's body and soul together through the days of depression and hardship. In 1926 during the general strike the seven year old Bob was forced to scramble over slag heaps collecting coal dust that could be mixed with water to make a crude fuel and along with his childhood friends at school, he depended on the soup kitchens to supplement a meagre diet. "Hetton le hole is a typical Durham mining village, a close-knit community seven miles from Sunderland where koal was king and football was religion. My father was a miner, and although he never wanted any of his four sons to down the pit, there didn't seem to be many alternatives. We lived in a small terraced house, and although we never went short of life's essentials, there was never much money left over by the end of the week." At the age of 14 Bob took a surface job at the pit and was there to witness the horrific moment when his father was brought to the surface after a nasty underground accident. Samuel Paisley was so badly injured that he was unable to work for five years and shortly afterwards, following belated attempts to make the pits safer places to work, the mine was closed down. Bob quickly became apprenticed to a bricklayer but by this time his footballing prowess was getting him noticed by local scouts. His talent as a footballer was to be his passport to a new world. In an incredible period between the ages of eleven and fourteen, he was to help his school Eppleton to an astonishing seventeen trophies. 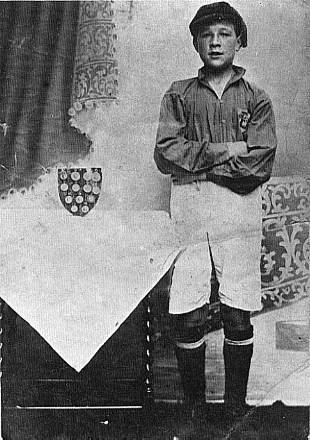 The success continued as he went on to play for Hetton, often against youths who were a few years older than him. Bob's sporting talent had revealed itself in other ways too. He earned useful money as a handicap foot racer, something which drew big money bets in the north-east at that time. In the summer months the young Paisley also turned his hand to cricket. He was a more than useful fast bowler who could bat a bit and was approached by several local clubs who wanted his services. Always though, it was his love of football that won the day, and it wasn't long before representatives from Bishop Auckland were knocking on the Paisley door. 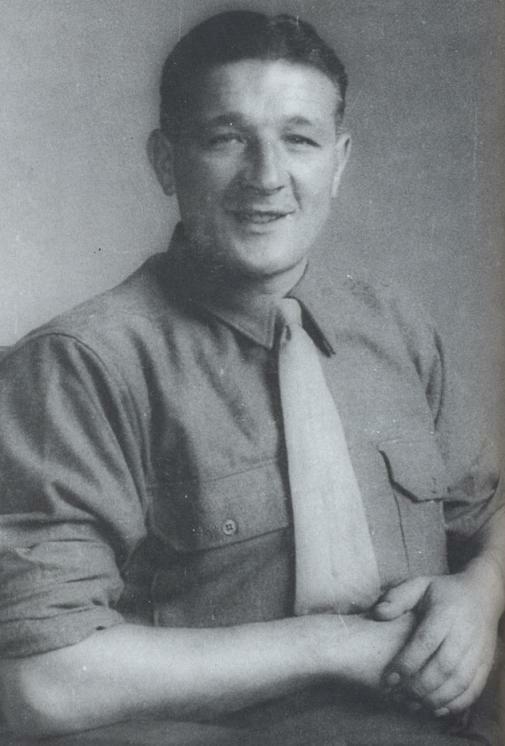 Of course, the outbreak of World War Two quickly put paid to any fledgling sporting aspirations and Bob Paisley joined the 73rd Regiment of the Royal Artillery. He served with Montgomery's Eighth Army, the so called Desert Rats at the relief of Tobruk and the watershed victory at El Aleamein, as an anti tank gunner. But there was still time for sport even then and Bob once captained the regimental hockey team in a match and then played football and cricket all in the same day! It was during this time he also began to cultivate an interest in race horses, an interest that was to endure for the rest of his life. A jockey called Reg Stretton was in Bob's regiment and the two became great friends. In later years Bob was to strike close friendships with British horse racing figures Frank Carr and Frankie Durr. Whilst Bob was on active service in Italy he was given the news that his younger brother Alan had died back home at the age of fifteen from scarlet fever and diptheria. On hearing this news, Bob wandered aimlessley away from where he had been positioned, understandably dazed and upset by what he had heard, and moments later a shell dropped and exploded right where he had been. The tragic news had ironically saved his own life. As he was to explain, "I love the city and the people here. I've been with them for many years and I fought alongside them. Ninety per cent of the regiment were from the Merseyside area. So I got to know the Liverpool character. From a psychological point of view, that was a big asset. I've had a fair time to judge the Liverpool people and I think they're tremendous." For a man not renown for his way with words that's a pretty clear and direct statement. In 1945, shortly before he was demobbed, Bob met Jessie on a train outside Maghull and in July the following year the two were married. In the years that followed, Bob and Jessie were to celebrate the birth of two sons, Robert and Graham, and a daughter Christine. Bob Paisley may not have been made for the media age, and maybe at times it seemed he could barely string together a coherent sentence in a television interview, but at heart he was a Scouser, albeit an adopted one and he identified easily with the mass of support that huddled together on the Kop at Anfield. He knew as we all did, that his football teams did all the talking that was necessary.